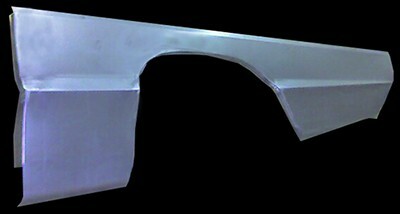 This panel replaces the area of the rear quarter from the door opening back to the first bend behind the bumper. This panel goes up 1 inch above the feature line and down to the bottom. This panel has the groove around the wheel well opening for the skirt seal.